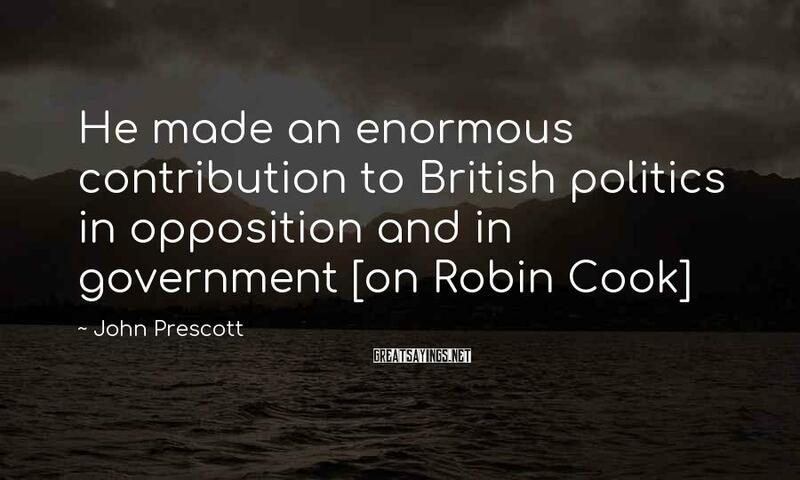 45 John Prescott Famous Sayings, Quotes and Quotation. 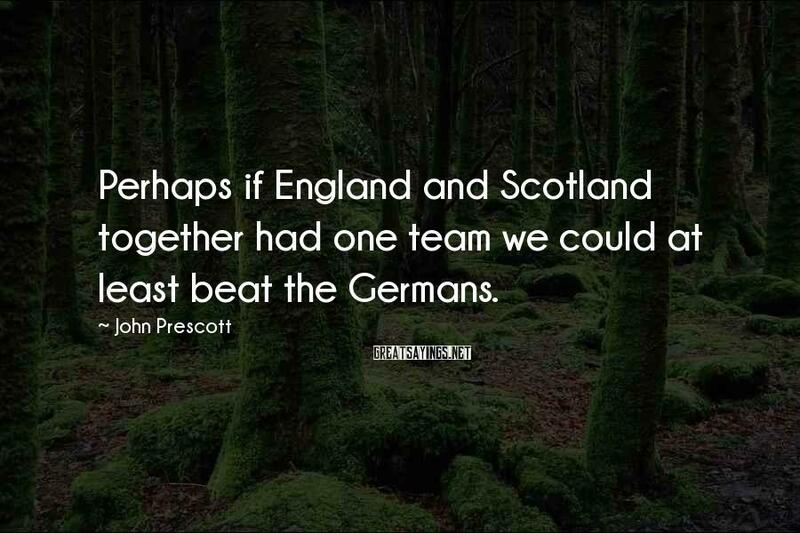 Perhaps if England and Scotland together had one team we could at least beat the Germans. 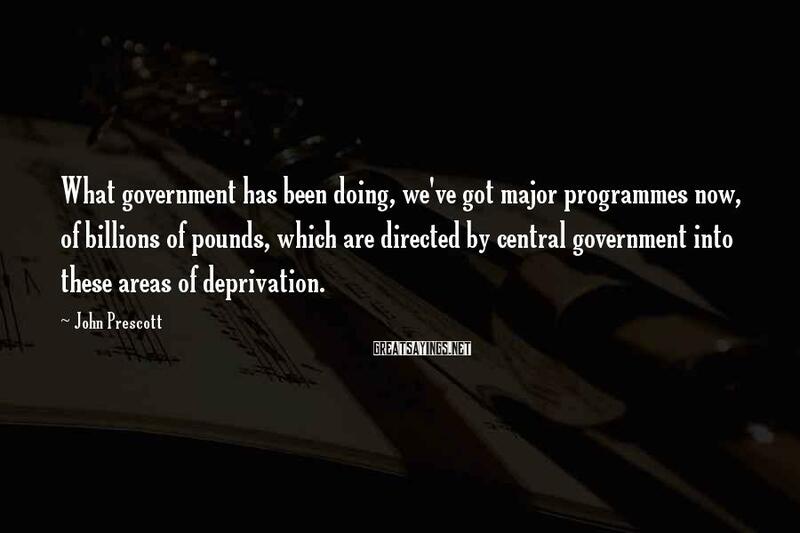 What government has been doing, we've got major programmes now, of billions of pounds, which are directed by central government into these areas of deprivation. 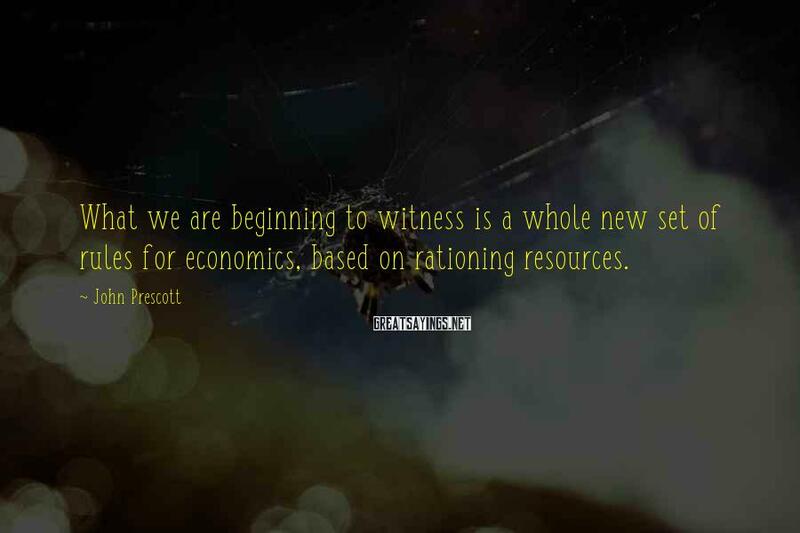 What we are beginning to witness is a whole new set of rules for economics, based on rationing resources. 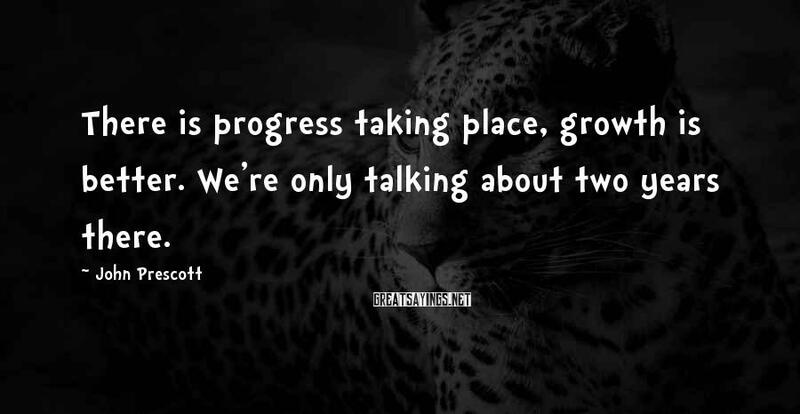 There is progress taking place, growth is better. We're only talking about two years there. 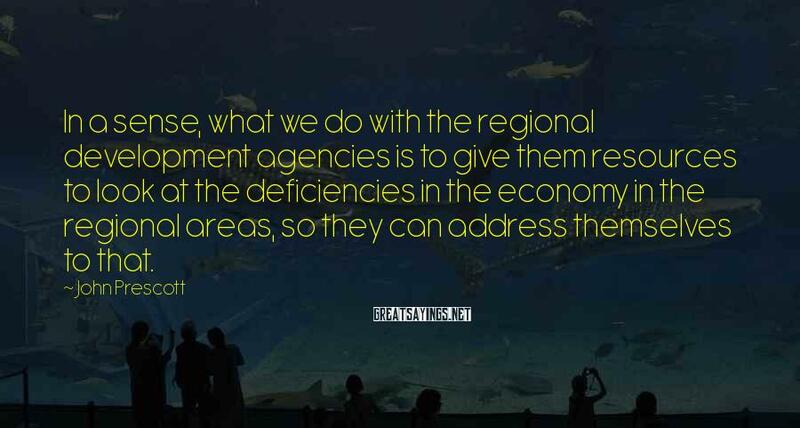 We are making the fundamental changes. 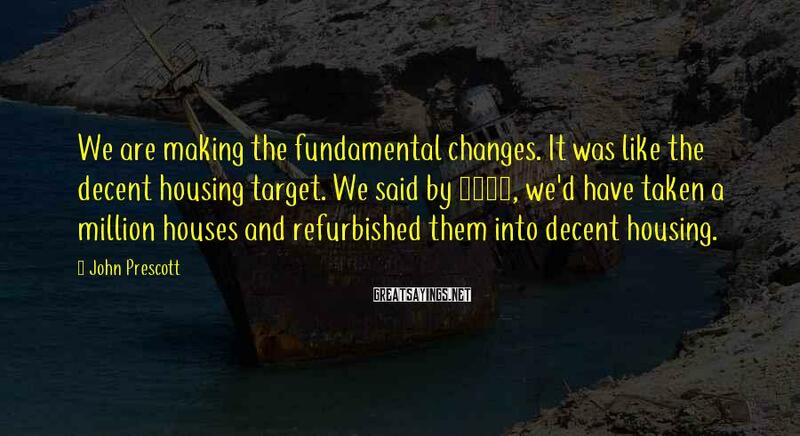 It was like the decent housing target. 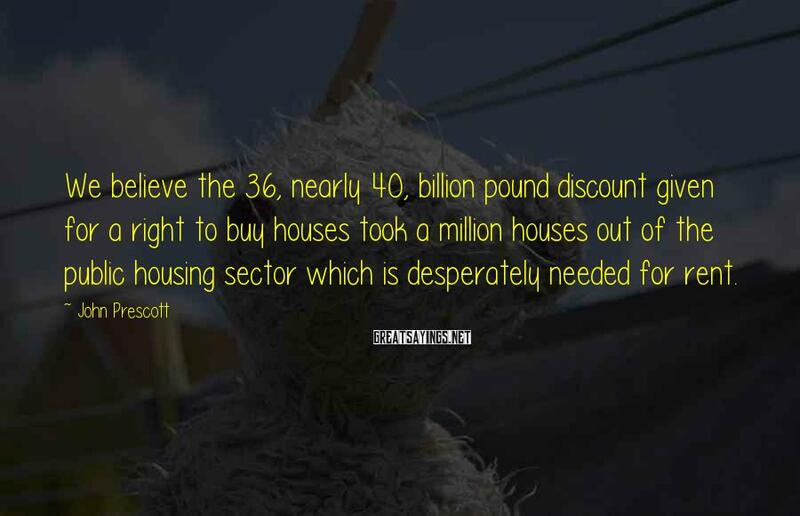 We said by 2010, we'd have taken a million houses and refurbished them into decent housing. 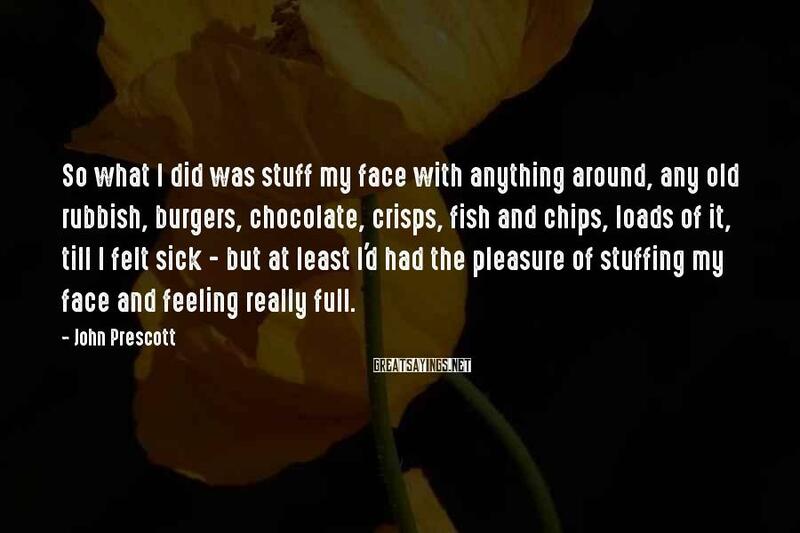 So what I did was stuff my face with anything around, any old rubbish, burgers, chocolate, crisps, fish and chips, loads of it, till I felt sick - but at least I'd had the pleasure of stuffing my face and feeling really full. 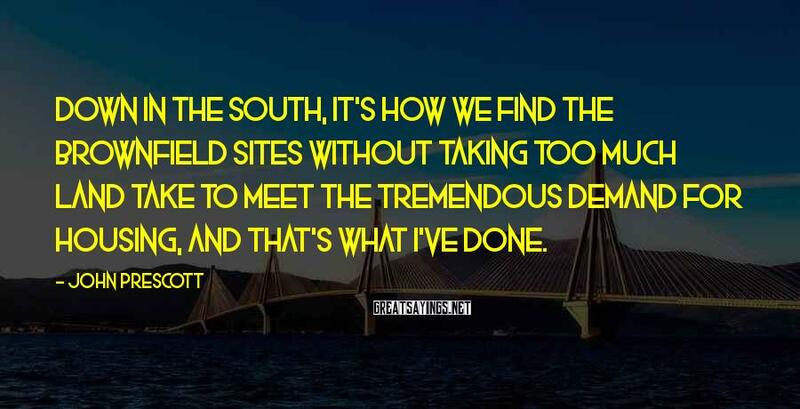 Down in the south, it's how we find the brownfield sites without taking too much land take to meet the tremendous demand for housing, and that's what I've done. All I could feel was this warm liquid running down my neck. 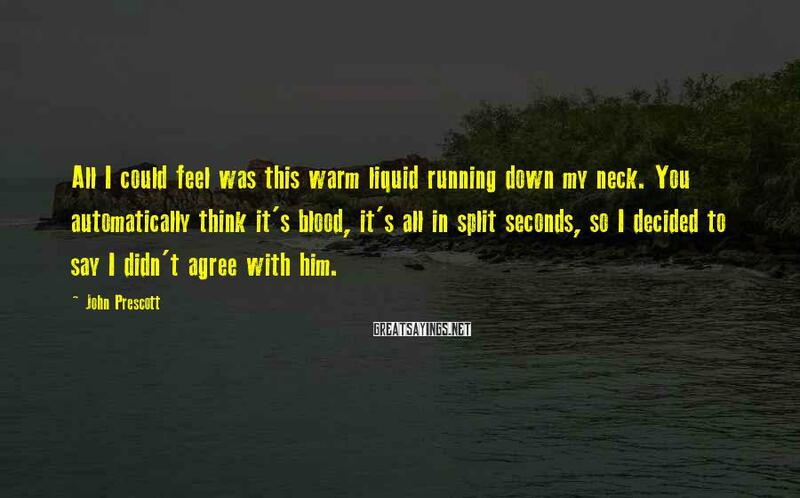 You automatically think it's blood, it's all in split seconds, so I decided to say I didn't agree with him. 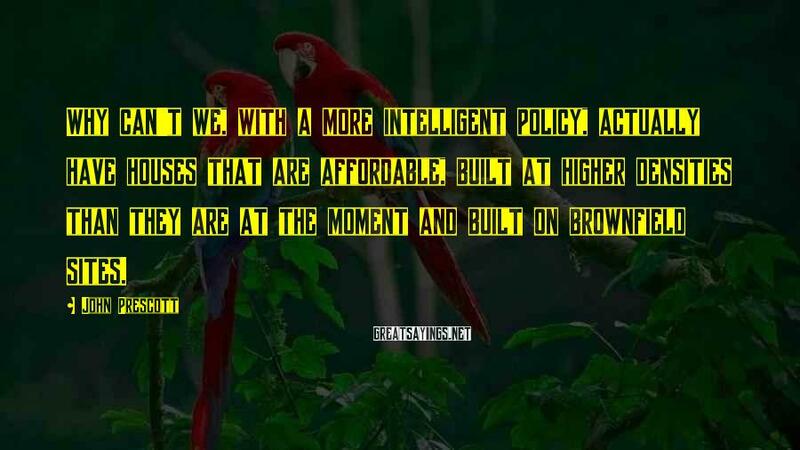 Why can't we, with a more intelligent policy, actually have houses that are affordable, built at higher densities than they are at the moment and built on brownfield sites. 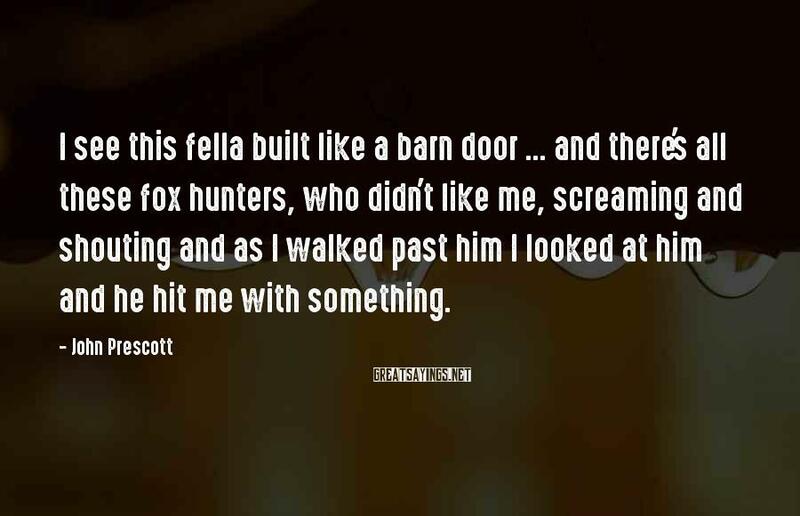 I see this fella built like a barn door ... and there's all these fox hunters, who didn't like me, screaming and shouting and as I walked past him I looked at him and he hit me with something. 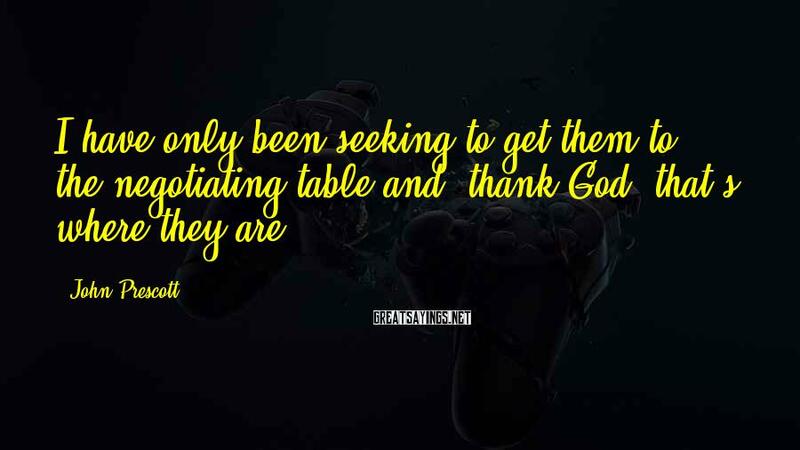 I've gone through that with my mother and father and here I was in a similar situation. I've wronged her and I've wronged the family. 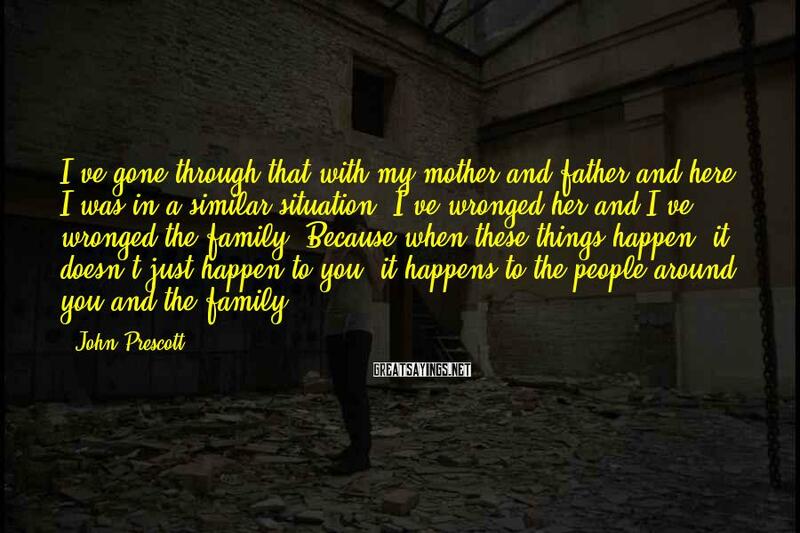 Because when these things happen, it doesn't just happen to you, it happens to the people around you and the family. When I see that man on the telly - 'Are you thinking what I'm thinking?' No! I'm definitely not! 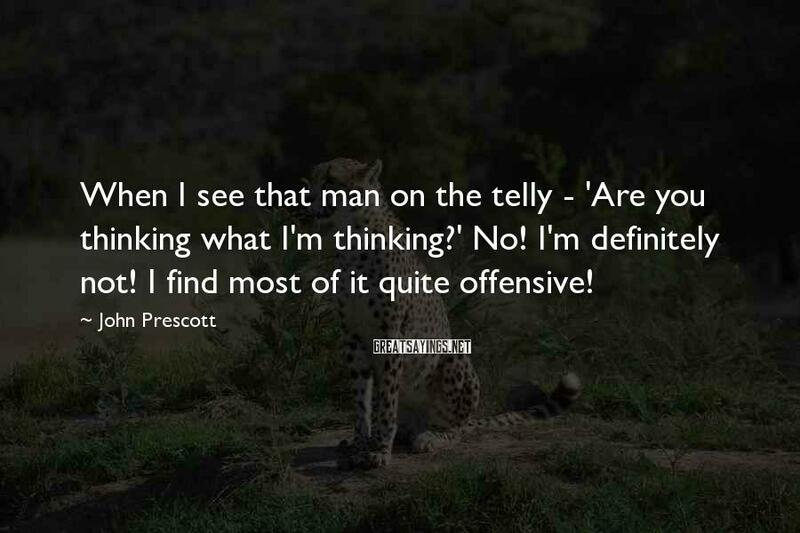 I find most of it quite offensive! 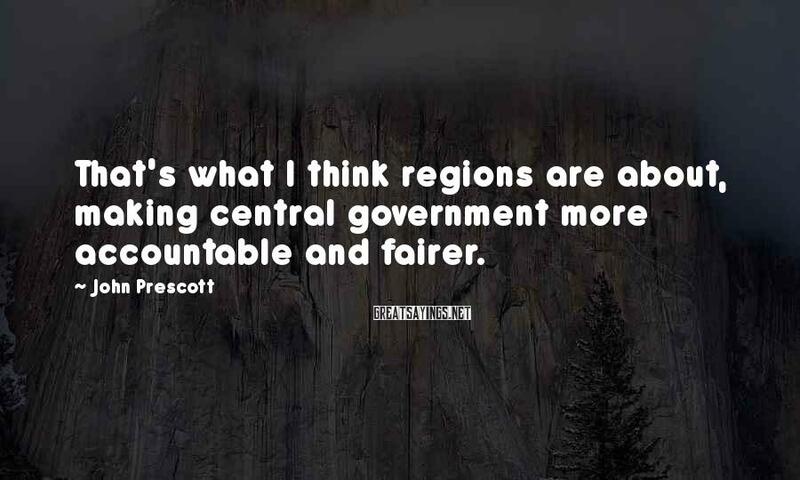 That's what I think regions are about, making central government more accountable and fairer. 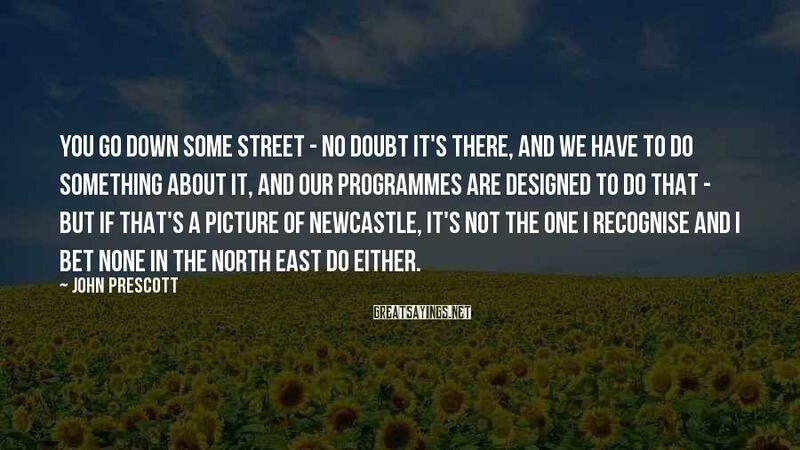 You go down some street - no doubt it's there, and we have to do something about it, and our programmes are designed to do that - but if that's a picture of Newcastle, it's not the one I recognise and I bet none in the North East do either. 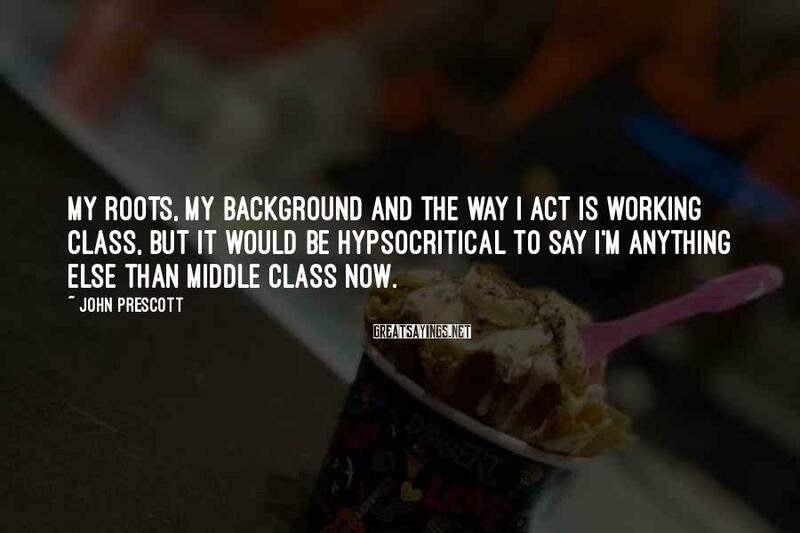 My roots, my background and the way I act is working class, but it would be hypsocritical to say I'm anything else than middle class now. 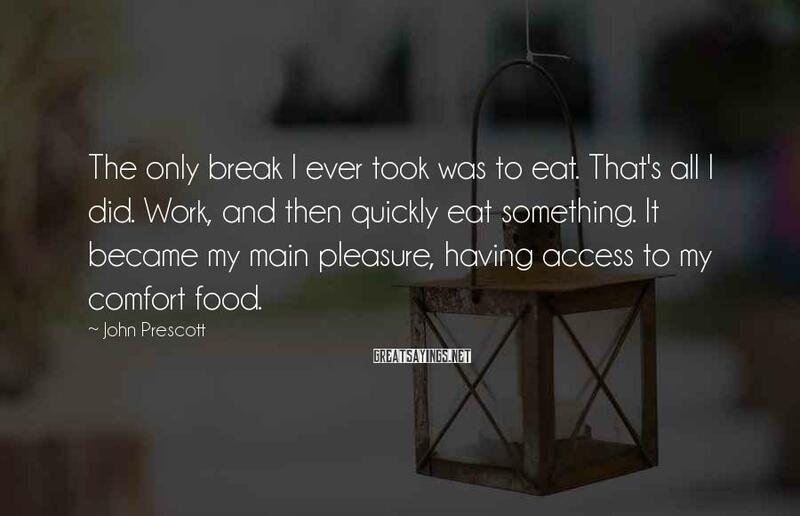 The only break I ever took was to eat. That's all I did. Work, and then quickly eat something. It became my main pleasure, having access to my comfort food. 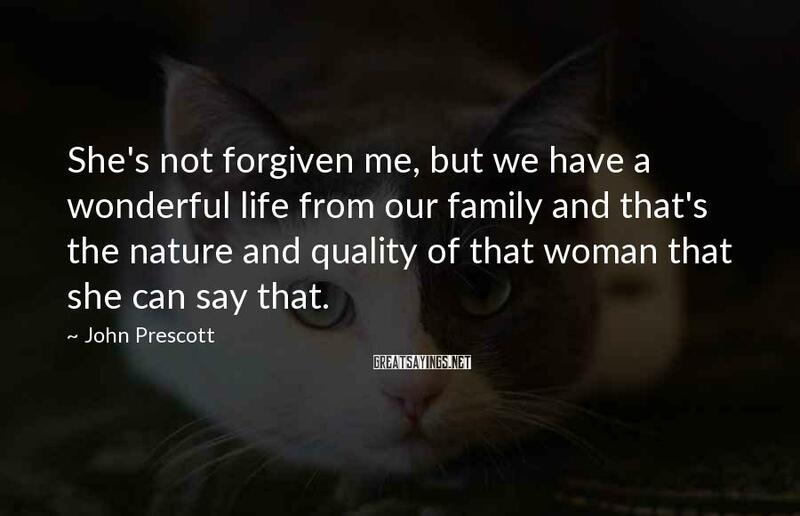 She's not forgiven me, but we have a wonderful life from our family and that's the nature and quality of that woman that she can say that. 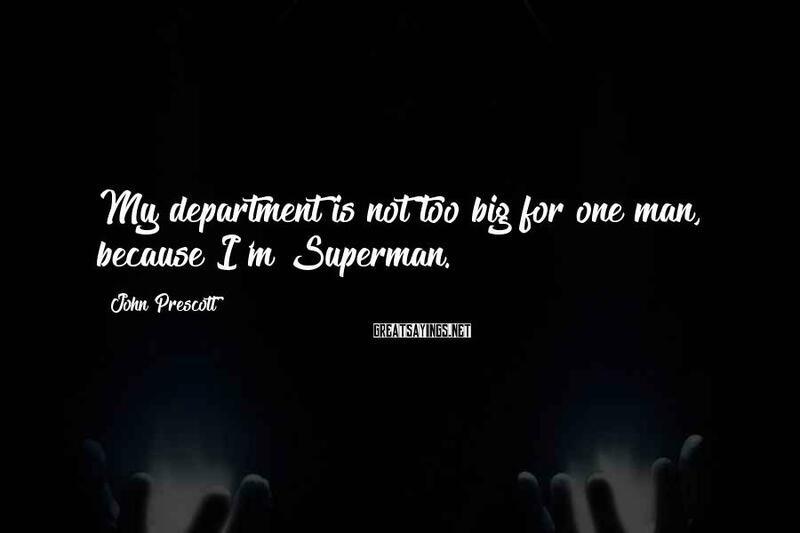 My department is not too big for one man, because I'm Superman. 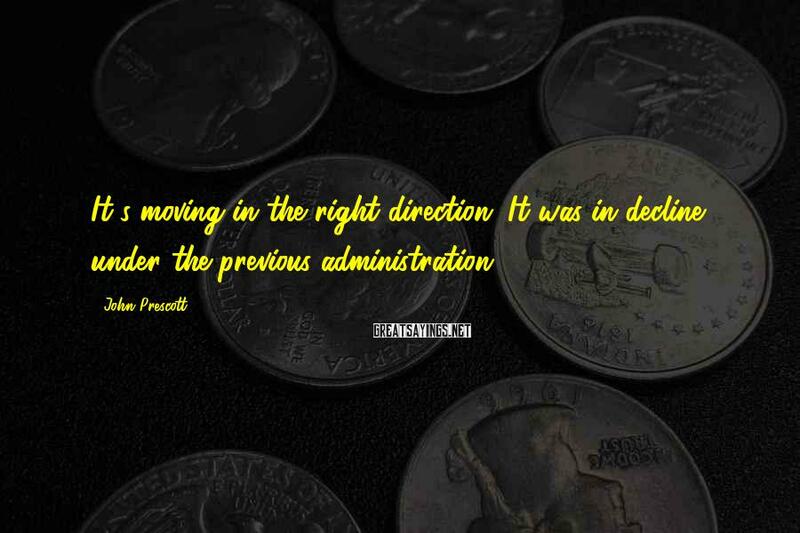 It's moving in the right direction. 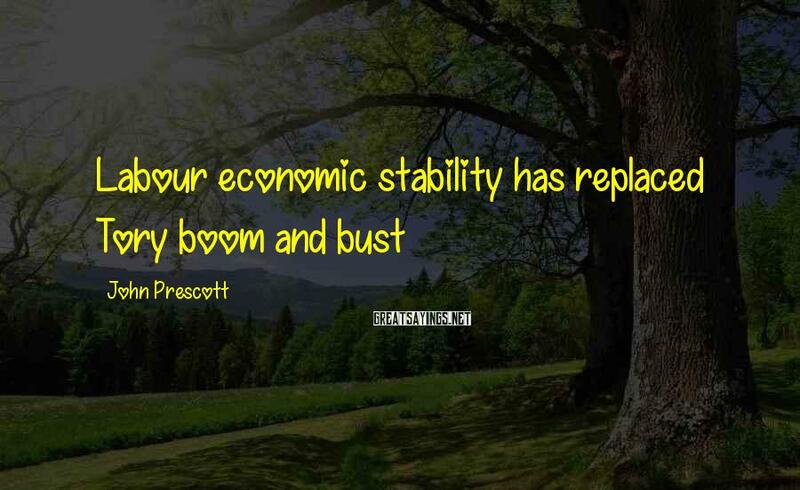 It was in decline under the previous administration. I've always felt very proud of Wales and being Welsh. People are a bit surprised when I say I'm Welsh. 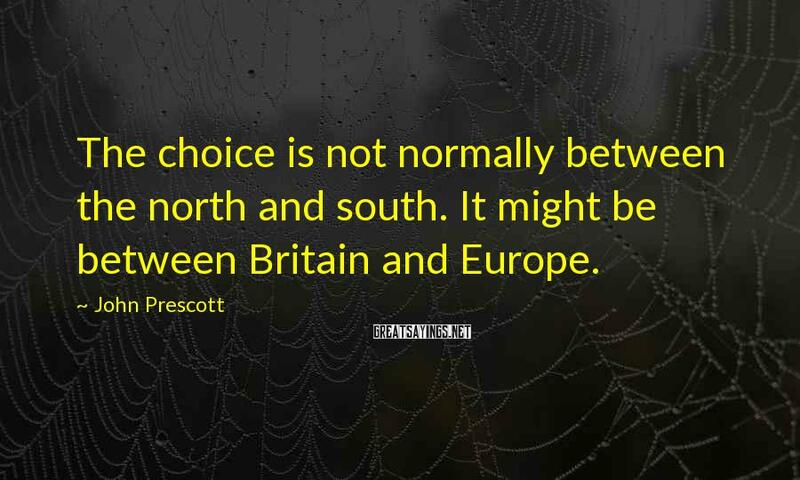 I was born in Wales, went to school in Wales and my mother was Welsh. I'm Welsh. 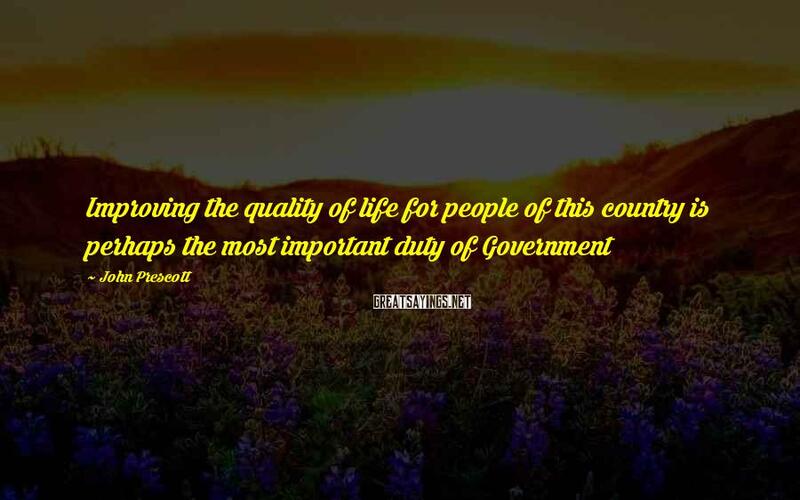 It's my place of birth, my country. 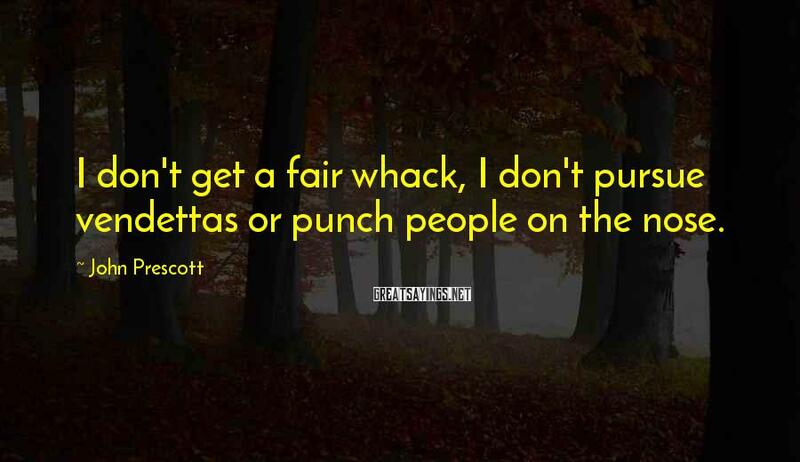 I don't get a fair whack, I don't pursue vendettas or punch people on the nose. 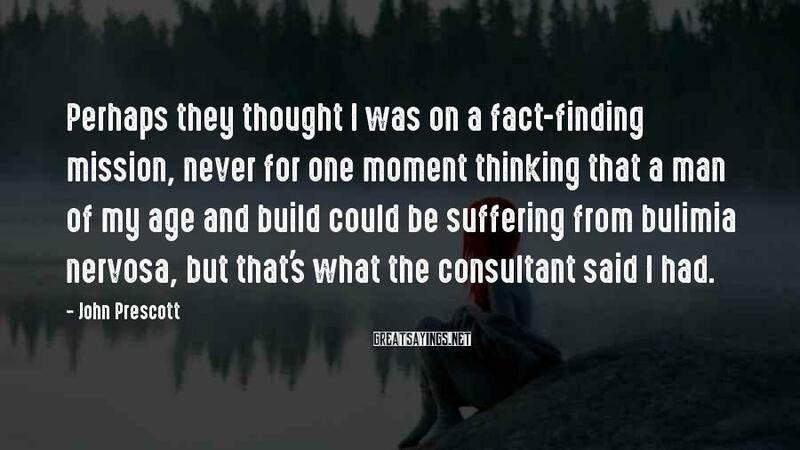 Perhaps they thought I was on a fact-finding mission, never for one moment thinking that a man of my age and build could be suffering from bulimia nervosa, but that's what the consultant said I had. 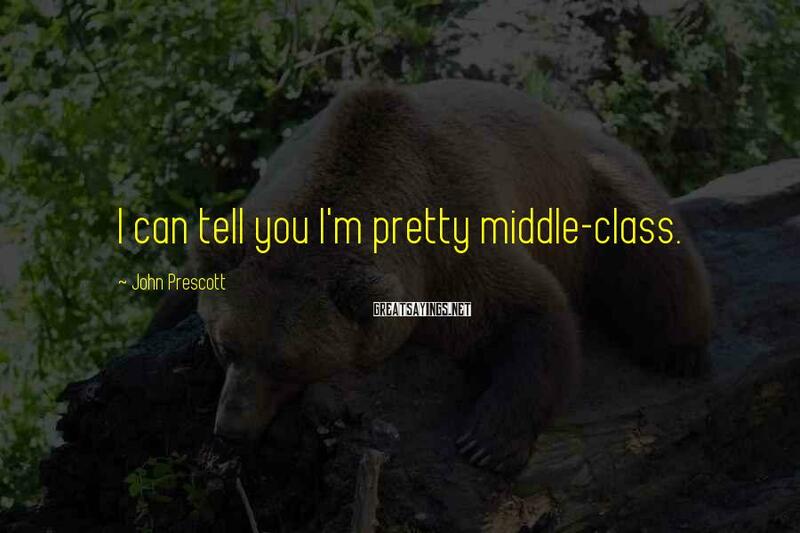 I can tell you I'm pretty middle-class. 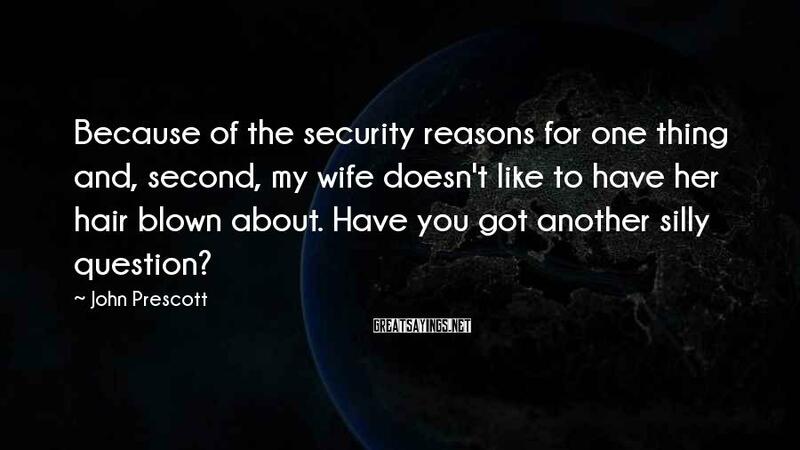 Because of the security reasons for one thing and, second, my wife doesn't like to have her hair blown about. 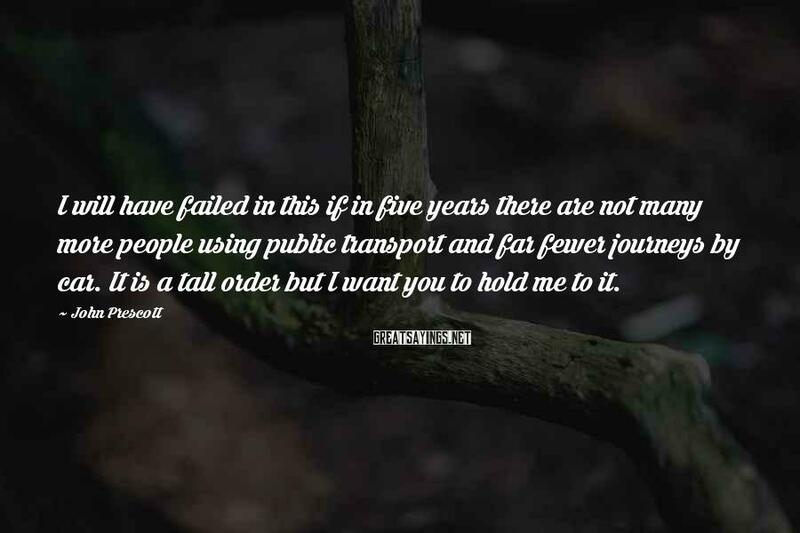 Have you got another silly question? 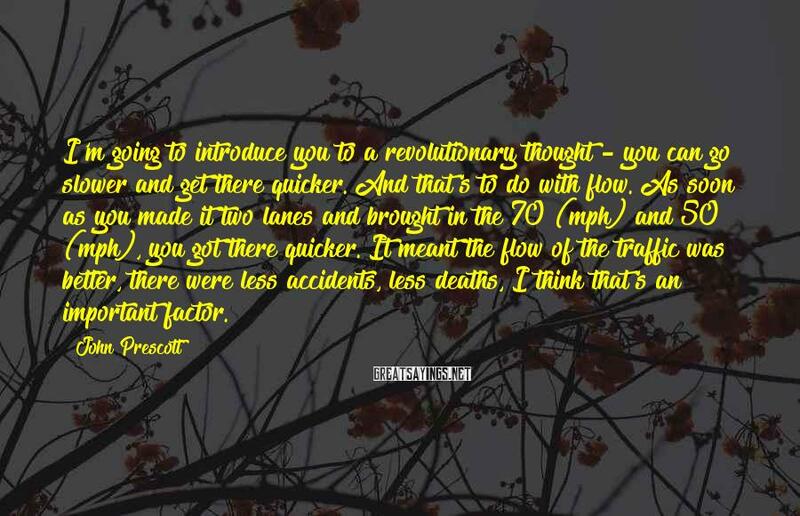 I'm going to introduce you to a revolutionary thought - you can go slower and get there quicker. 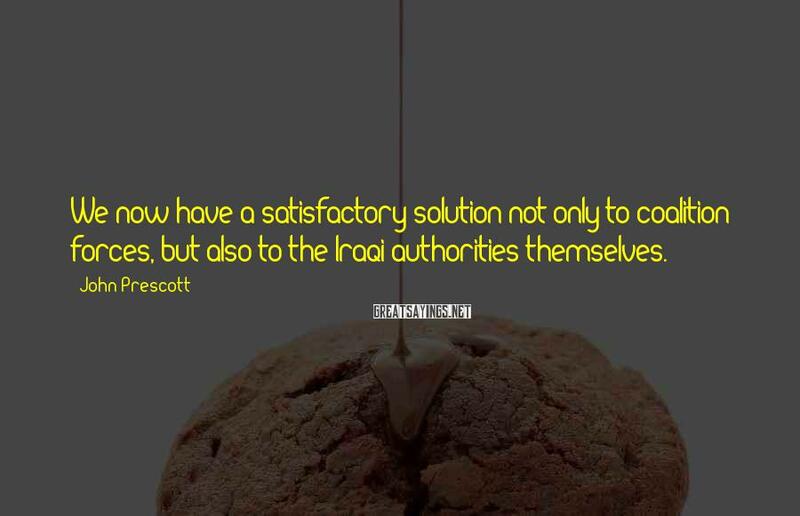 And that's to do with flow. As soon as you made it two lanes and brought in the 70 (mph) and 50 (mph), you got there quicker. It meant the flow of the traffic was better, there were less accidents, less deaths, I think that's an important factor. There was only one punch. 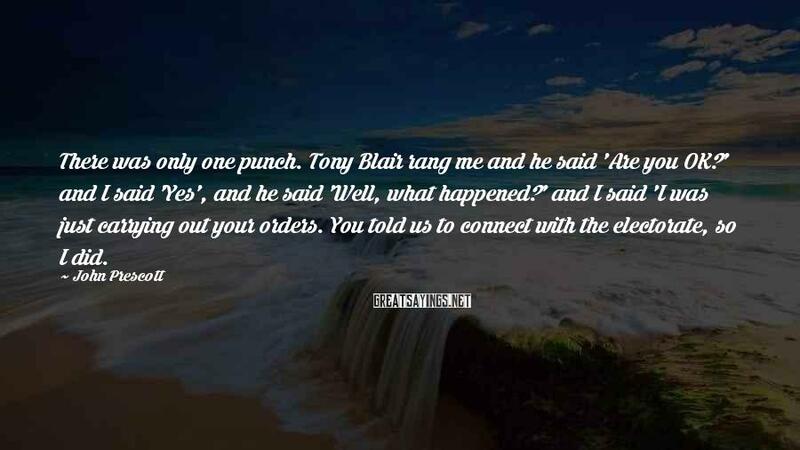 Tony Blair rang me and he said 'Are you OK?' and I said 'Yes', and he said 'Well, what happened?' and I said 'I was just carrying out your orders. You told us to connect with the electorate, so I did. 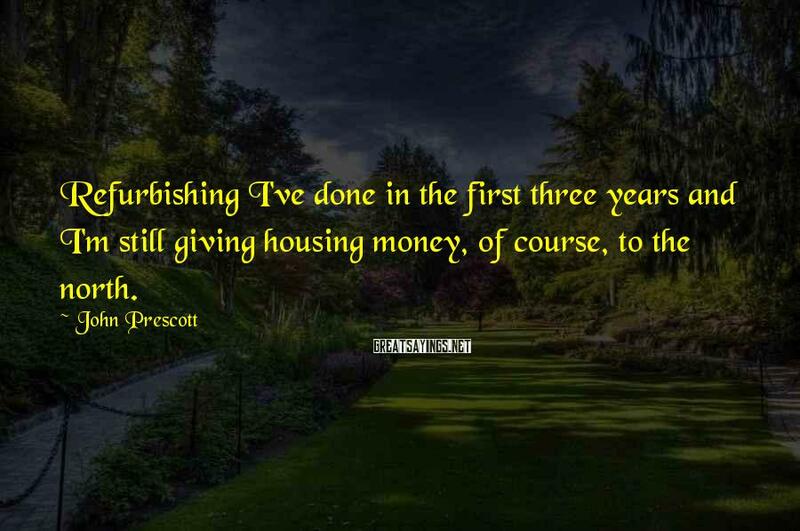 Refurbishing I've done in the first three years and I'm still giving housing money, of course, to the north. 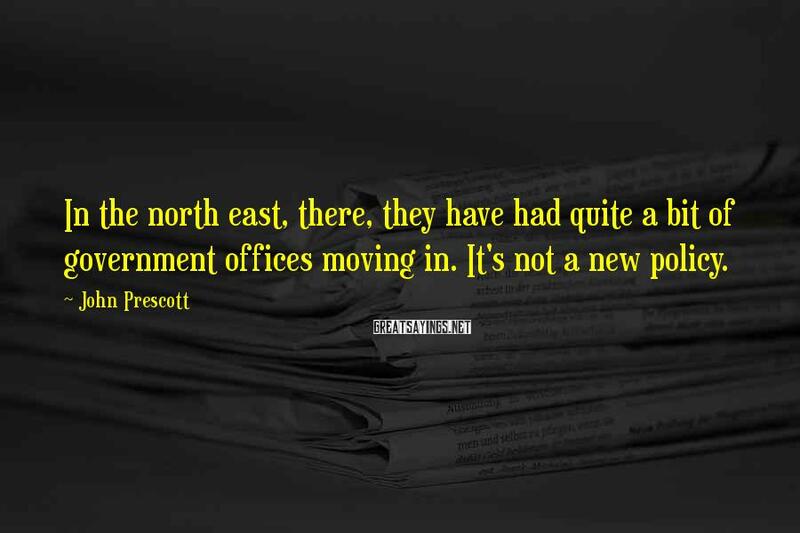 In the north east, there, they have had quite a bit of government offices moving in. It's not a new policy. 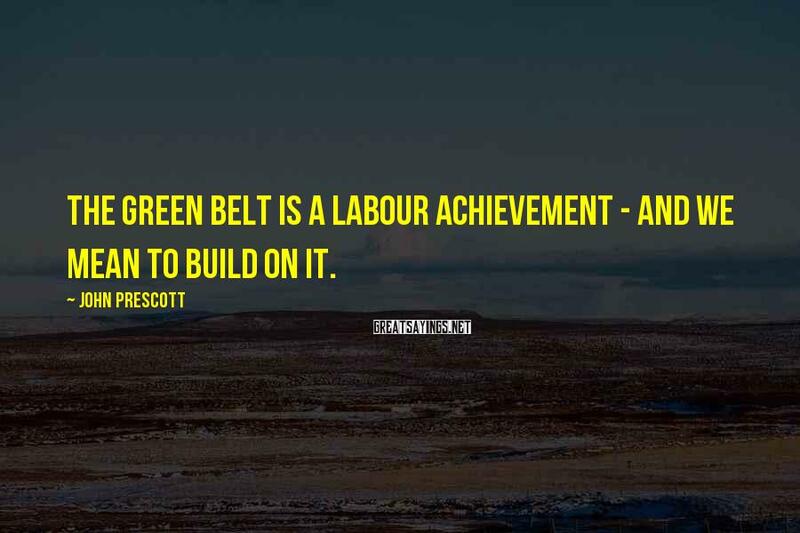 The Green Belt is a Labour achievement - and we mean to build on it. 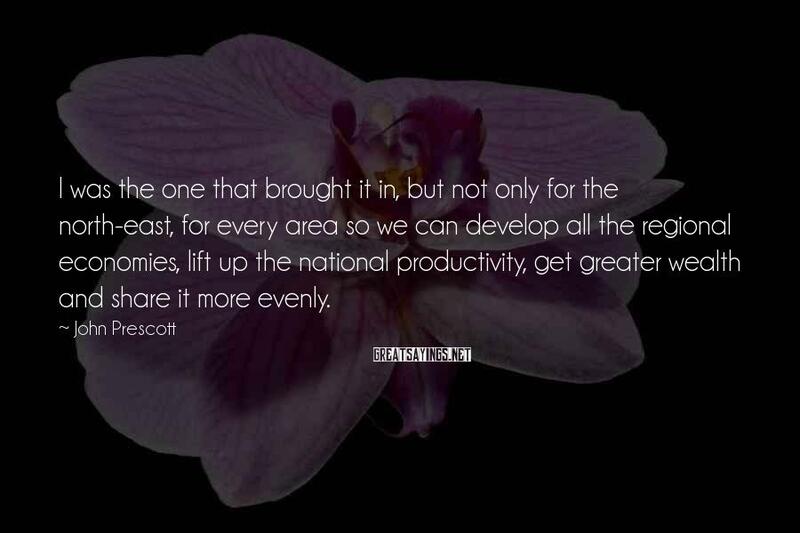 We've given more resources. 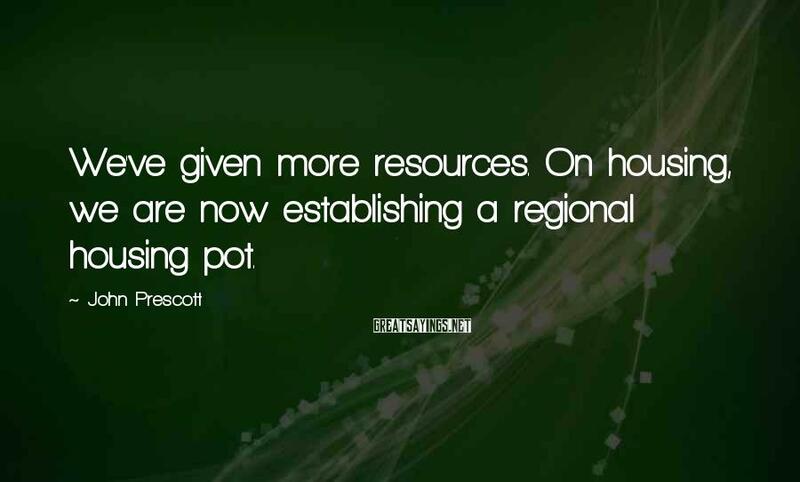 On housing, we are now establishing a regional housing pot. 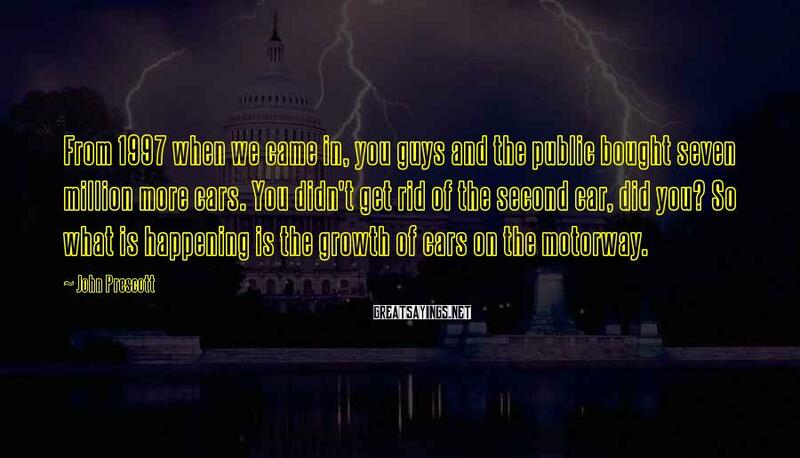 From 1997 when we came in, you guys and the public bought seven million more cars. 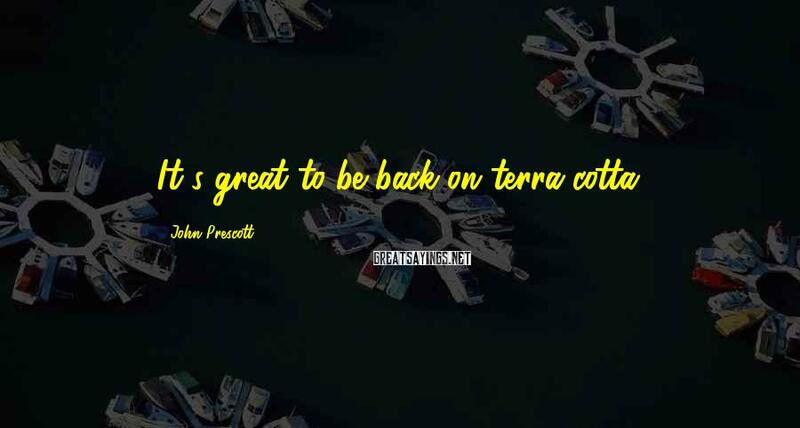 You didn't get rid of the second car, did you? 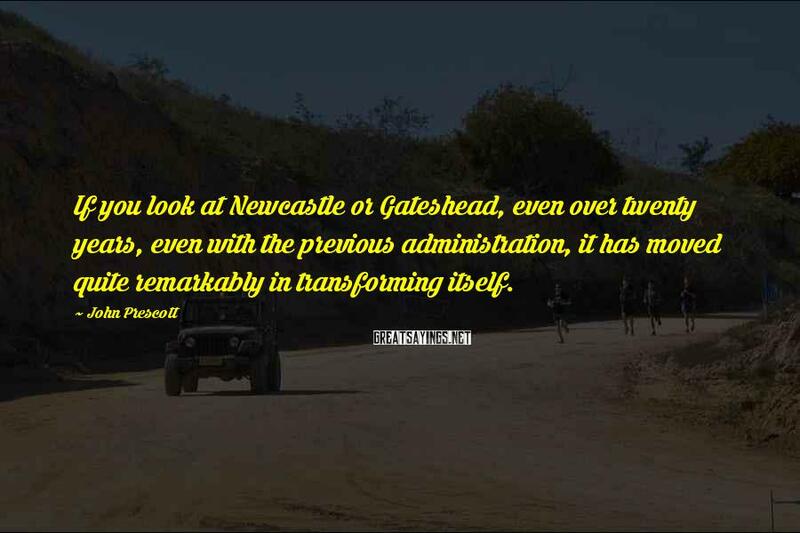 So what is happening is the growth of cars on the motorway. 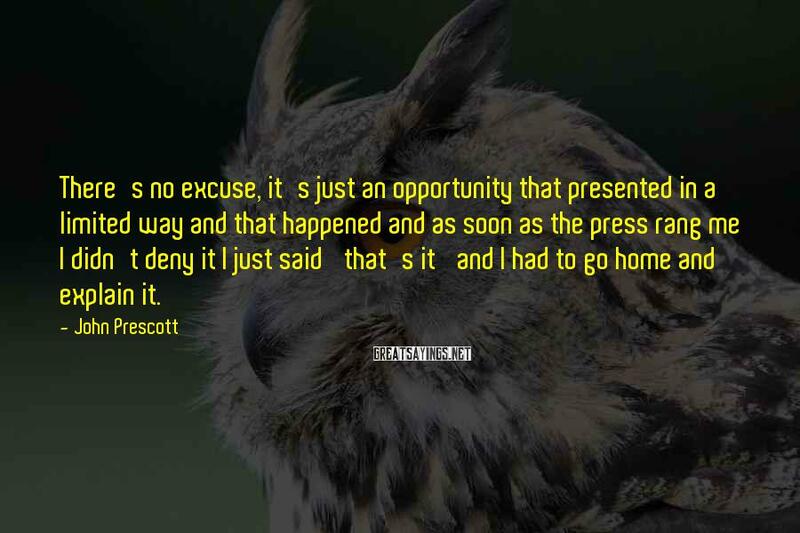 There's no excuse, it's just an opportunity that presented in a limited way and that happened and as soon as the press rang me I didn't deny it I just said 'that's it' and I had to go home and explain it.